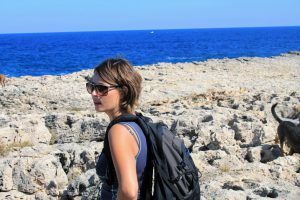 My name is Asia and I’m a licensed nature & walking guide in Sicily. I organise only private small group tours. My job is my passion! It is easy to become addicted to Sicily; for banal reasons, such as the sun, sea, mountains, food … Wondering around the Sicilian towns, mountains and forests, sometimes alone, sometimes in company, I discovered trails captivating with its beauty. For me working as a guide is about unforgetable emotions I experience every time I visit beautiful places with beautiful people. I’ll show you some hidden nooks and tell the stories not mentioned in traditional guides. Follow me!